I love this time of year! Fall colors and autumn holidays are my favorite! 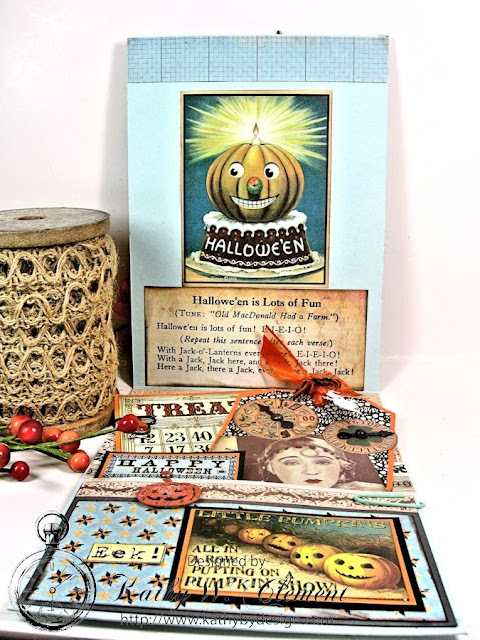 I dug into my crafty stash and put together a really cute vintage Trick or Treat pocket card that uses both burlap string and fabulous ribbon. 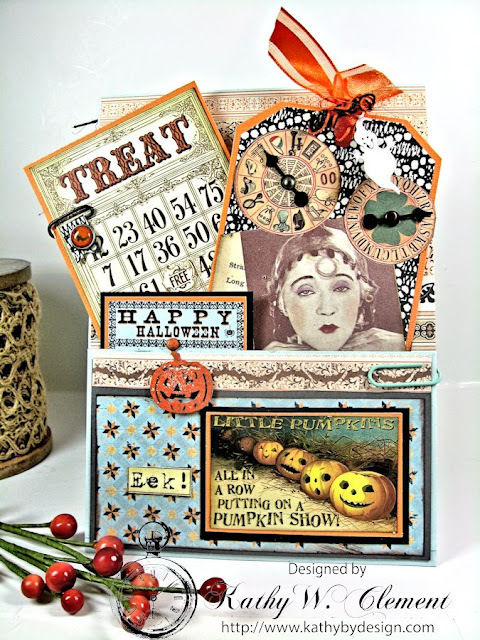 The adorable image and papers are from the Crafty Secrets Vintage Jumbo Halloween Kit. These sneaky Trick or Treat mice crack me up. The playful feel of this card is enhanced by the addition of a perky bow made from Orange Sheer Organza with a Satin Center ribbon. I've topped this with a suitably spooky black burlap string bow, an orange daisy and some felt leaves. I love using my Zutter Bow-it-All Tool to make these burlap string bows. Here, I've added orange burlap string to the black, then fanned the individual loops out to make a great base for my jack-o-lantern button and spider web. 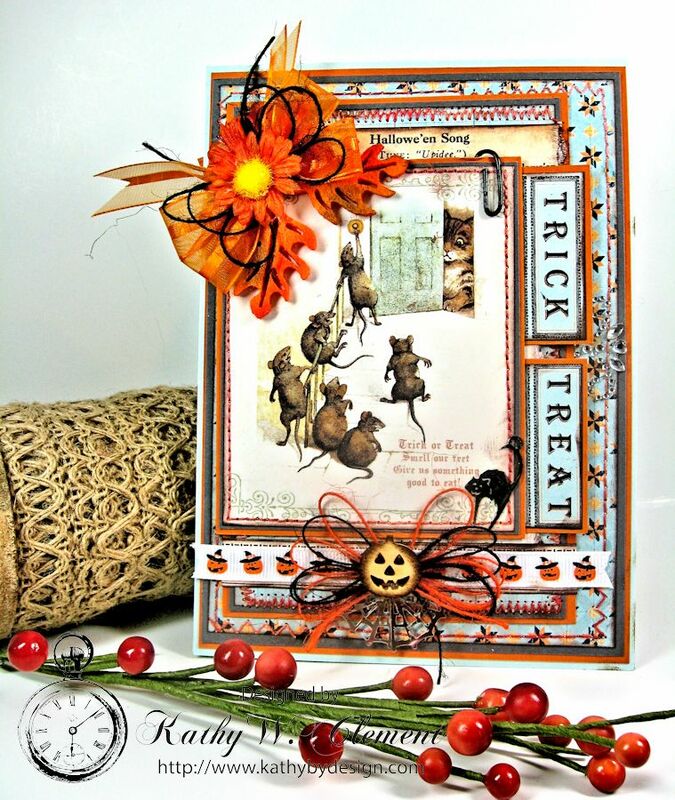 I also added a strip of the too cute to spook Pumpkins on White Grosgrain Ribbon adding more texture to the card, and picking up on the orange tones in the paper. The inside of the card is where this party really gets started! I've decorated the upper half of this top fold card with more Crafty Secrets goodies, then built a pocket below and stuffed it with tags. Bits of ribbon and more twine really make the tags pop! I curled the burlap string by dampening it with a 50/50 mixture of liquid glue and water. Then I wrapped the loose ends around the barrel of a slim paintbrush and let them dry. Voila! Fun curlicue burlap string! 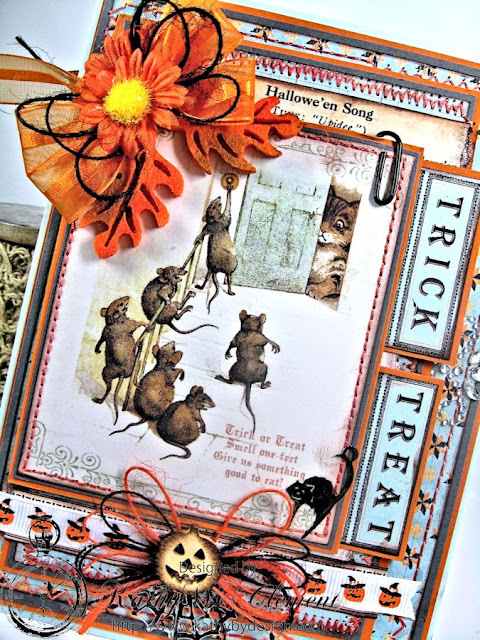 Here's a closer look at all those spook-tacular tags! This is such a frightfully fabulous card to send out...especially if you tucked a gift card for ice cream inside! Just like a party in a card!